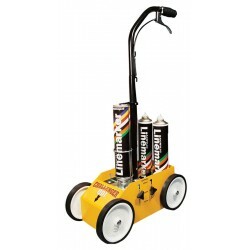 An effective and quick way of marking out car parks, playgrounds and even sports halls, our line marking machines are easy to use. Using economical paint, our machines allow you to easily mark lines that will dry quickly without producing any waste. Available in different colours from System Hygiene.